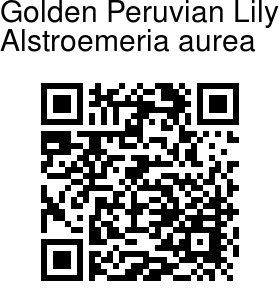 Golden Peruvian Lily is one of the hardiest of Peruvian Lilies, It is a tuberous perennial with clusters of small, brilliant orange or golden-yellow, orchid-like flowers, often decorated with spotting and streaking, at branch-ends. The plant blooms profusely for weeks above the attractive lanceshaped green leaves which are grayish-green in color and up to 10 cm long. 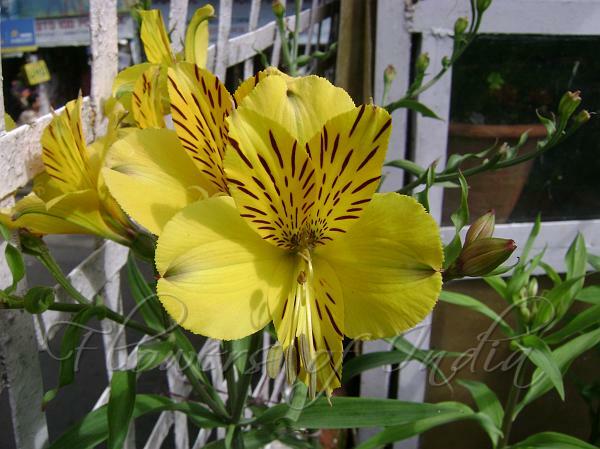 Golden Peruvian Lily is native to South America, popular as a garden plant. Photographed in Shimla & Ooty.